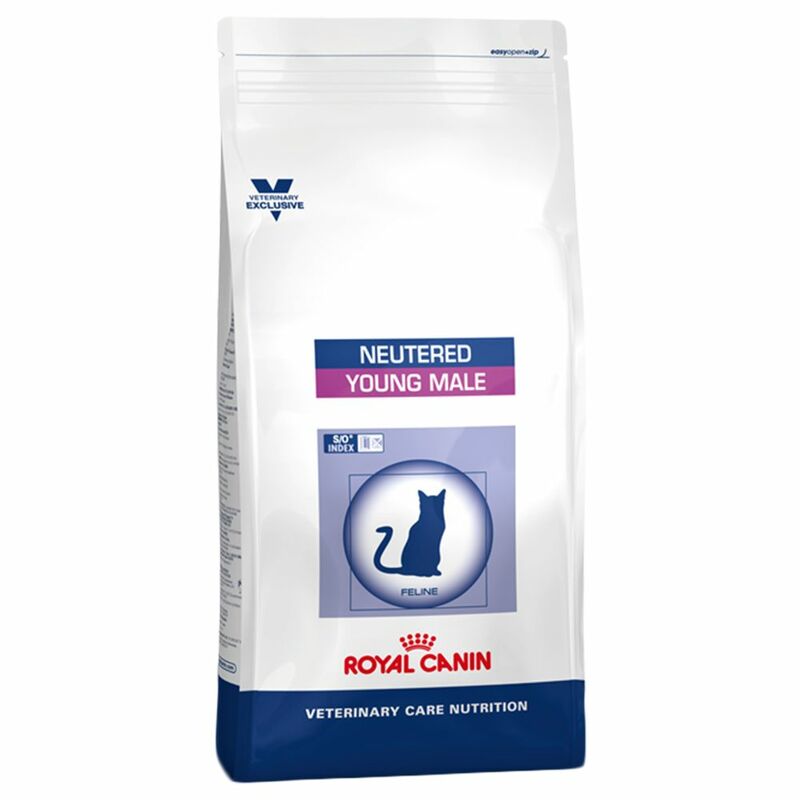 Royal canin feline neutered young male is specially formulated for male cats from neutering to 7 years old. The food is designed in such a way as to increase the urine volume which in turn reduces the concentration of struvite and calcium oxalate in the urine. This helps to reduce the formation of bladder and kidney stones from these minerals. The high protein content and increased levels of l carnitine help to promote a lean body mass while a low starch content limits weight gain and reduces occurrence of obesity and diabetes. The kibble has a specially designed texture and shape which helps to clean the teeth when the cat bites into the biscuit.